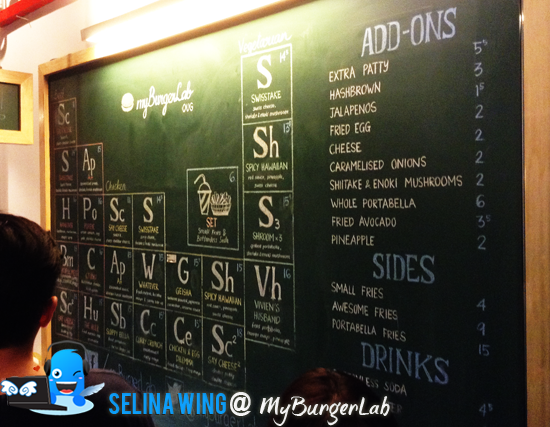 My friends always talked about the "MyBurgerLab" located in Petaling Jaya. So, it is difficult for my family and I go there. Finally, there are new OUG branch opened near the Parkson shopping mall! 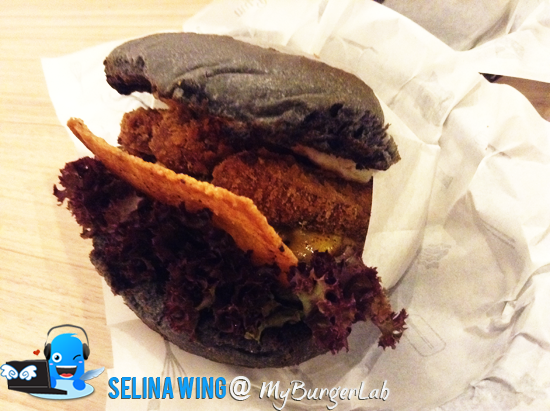 MyBurgerLab is famous burger to get many people queued so long before it opened! 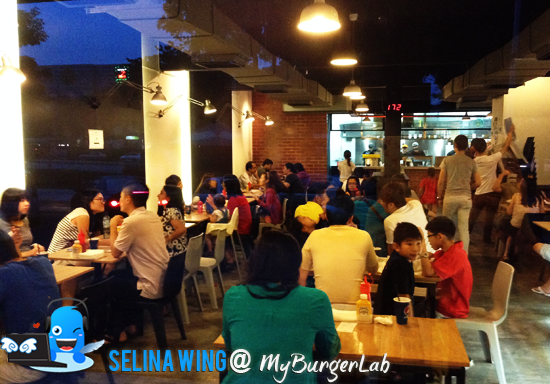 It make me amazed when I saw too many people are waiting outside MyBurgerLab at OUG! Luckily, my sister and I grabbed a table so quickly after we bought the order! I tried to eat the beef "Sc1", my sister and mom choose one from the chalkboard so easier... lol There are 3 choices; beef, chicken and vege only. 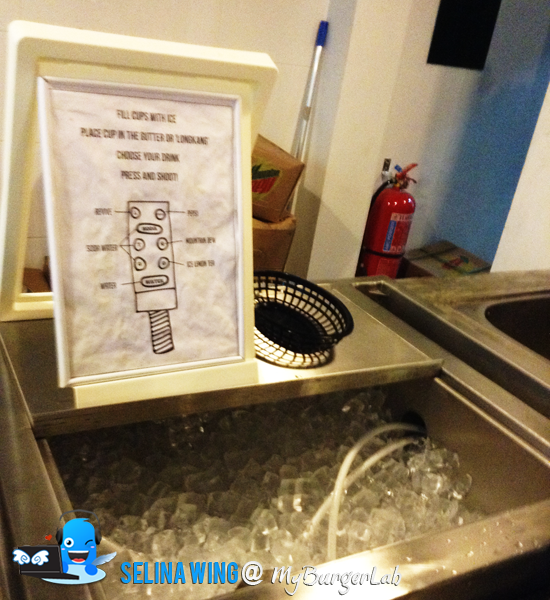 While we wait for our burgers come, we are serving our own drinks at the water dispenser beside the kitchen counter which we are picking up my own burger and sauces. I decided to choose the "Beef Say Cheese - Sharp Cheddar/ Smash Patty". 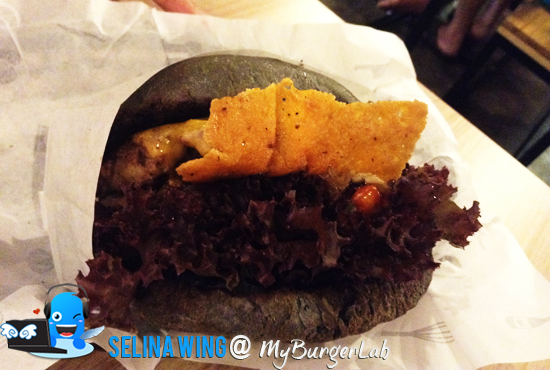 My sister tried her burger, "A+ Sharp Cheddar, Caramalised Onions, Shiitake & Enokie Mushrooms with Beef". Finally, my mom chose her chicken burger, "Spicy Hawaiian - Grilled Pineapple, Mozarella, Red Sauce"
We don't add the egg and fries, and just order one drink, be enough because we can refill one on anytime. 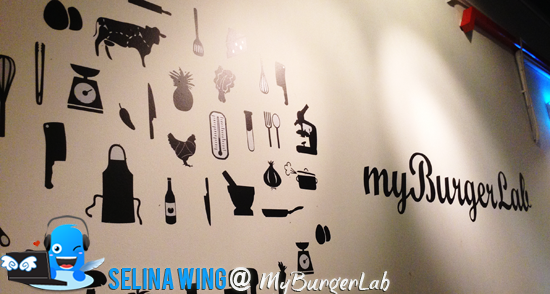 If you want to try "MyBurgerLab", better come early before 6-7pm! 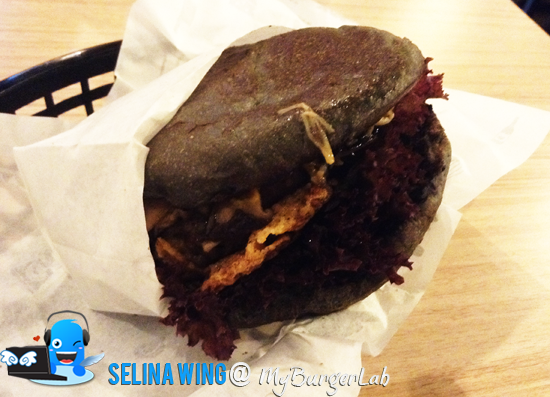 You can visit their facebook at https://www.facebook.com/myBurgerLab.